The skills of learning today are more important than knowledge itself […] we don’t know what jobs will exist in the future but we do know the skills we teach the students today will take them a long way […] if we look at the world’s best education system rankings, you learn they have lesser time for regular in-class learning, in fact a large part of it comprises of extracurricular activities. Zartaj Waseem, a STEM (Science, Technology, Engineering, and Math) educationist and a software engineer, is also the founder of the Robotics and STEM Studio at Mrs. Haques Academy in Karachi. 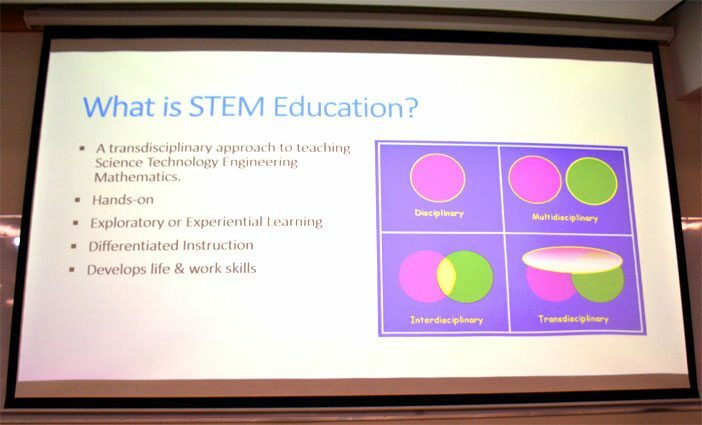 Zartaj’s talk was centered around her experience in using STEM as a transdisciplinary approach to education, integrating concepts across subjects and emphasizing knowledge application over book-learning. Zartaj first started working with students from ages 9 to 16. In collaboration with the First Lego League (FLL), she taught robotics and had a team of students participate in the FLL Competition in the United Kingdom. Additionally, she was head of the FLL planning committee in Pakistan, and a certified mental arithmetic trainer for IQ based brain development. Zartaj pointed out that a problem teachers face is that students are not attentive in classes and she believes it is the teachers’ responsibility to engage them. According to her, teaching methods and curriculum need to be modified to engage the students and a crucial part of this change are the integration of tools and practices they enjoy. For example, flowcharts can be taught to first graders but the idea is to do so in a way that captures their interest. Zartaj teaches her students the process of making a banana milkshake as a flowchart. As a teacher, Zartaj emphasized the need to have better education systems, bringing in the examples of countries such as Finland, Singapore, and Hong Kong. She also highlighted that education needs to be geared towards extracurricular activities, where learning is done mostly outside of the classroom. From her comparison of different teaching models, regardless of being study-centric or heavy on extracurricular activities, all optimal models included a focus on math. 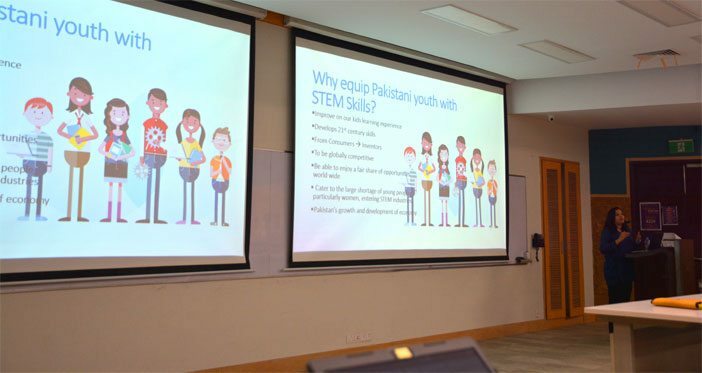 Zartaj stressed the importance for Pakistani youth to be equipped with STEM qualities. She said “teachers need to be inspired and motivated” in order to ensure students get the best out of their school, especially at a younger age. While they may have to put in extra time to learn about technology to convey it to students, “watching the students get inspired is in itself motivating”.